A fire broke out at a plastic factory in Kandivali on Friday afternoon. 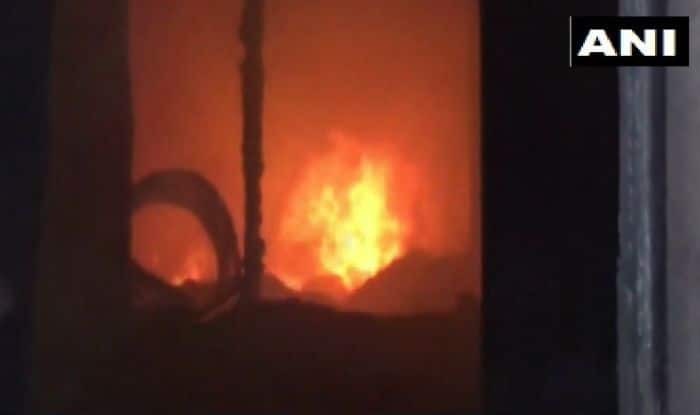 Mumbai: A fire broke out at a plastic factory in Kandivali on Friday afternoon. Five fire tenders are at the spot carrying out the fire fighting operations. The cause of fire is believed to be a short-circuit. However, the exact reason is yet to be ascertained. No reports of casualties or injuries have been received as of yet. More details, in connection with the incident, are awaited. On December 31, the Mumbai Fire Brigade acted against owners of 31 establishments, including malls, eateries and multiplexes, for violation of norms. “A total of 377 establishments like malls, eateries and multiplexes were checked and action was taken against owners of 31 places. Action included demolition, encroachment removal, LPG cylinders seizure, inspection report submission and notice issuance,” Chief Fire Officer PS Rahangdale informed. Mumbai has witnessed a series of fire incidents in the past few days, prime among them being one at the ESIC Hospital in Andheri on December 17 which killed 11 people and another in a high-rise in Tilaknagar area on December 27 that took five lives.